Wow, things have been crazy around here lately! With two pattern releasing this month I thought I'd give my customers & viewers a special offer! First, I thought I'd try something new, and fun! 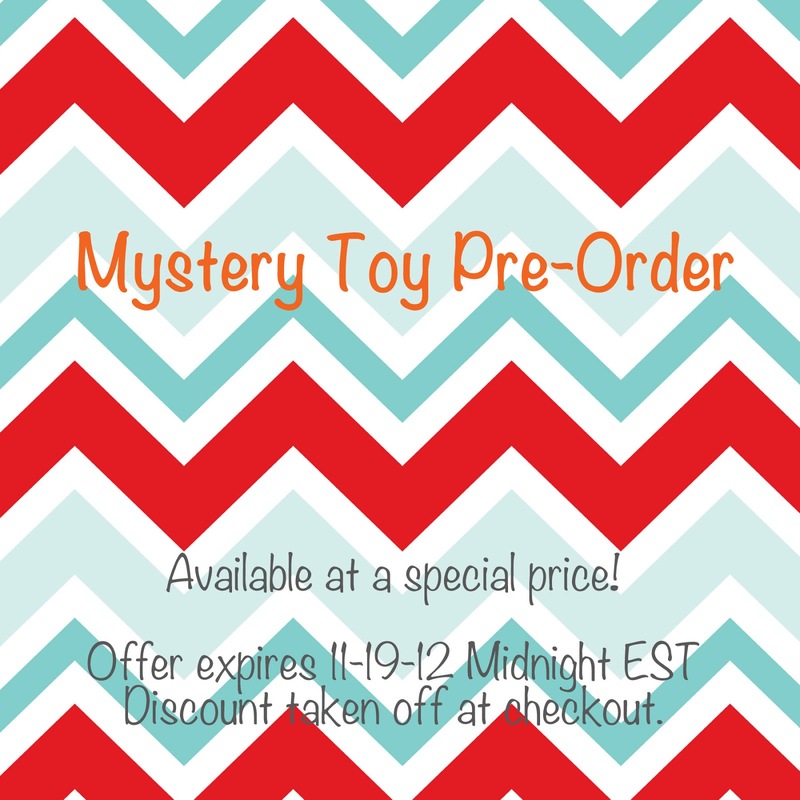 Starting today, if you are willing to take a chance on buying a pattern of mine up to a week before it's released, before you've even seen it, and you'll get the Mystery Toy at the special price of $5! Offer expires November 19, 2012 Midnight EST. Discount taken off at checkout. What you'll get: when you buy the pattern, you'll get a 1 page PDF that will give you a list of all the materials need to make the pattern. Then on the day the pattern is released (Tuesday November 20, 2012) I will update the pattern. So, all you have to do it go to your Ravelry library and click the update button on the pattern to receive the full pattern which will reveal what the Mystery Toy is! On November 20th 2012, when the patten is released and revealed, the price will be is regular $6. Also today, Theodor the Story Telling Monster is now available for purchase! It was exclusive to the Dancing Dog Dyeworks Mini Monster Mania Club, and the rights have now been returned to me. It's available on Ravelry for $6. But wait!!!! If you buy both patterns together you can get them for $10! 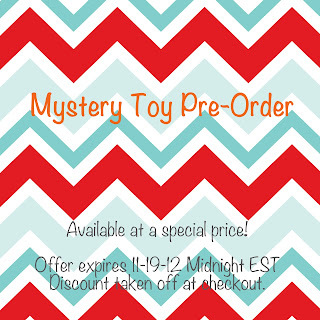 This offer expires November 19, 2012 Midnight EST! Discount taken off at checkout. Go get them!